A couple weeks ago, a party was held in Hollywood. It was a wrap party, celebrating the end of production on one of the most important animated series of our time: Adventure Time. The award-winning series is now on its tenth and final season, and in honor of its conclusion it seems fitting to go back and explore the impact the show has had on television animation. To fully understand the impact of Adventure Time, we need to understand the world of the late naughts, prior to 2010. To put it lightly... those were not kind years for television animation. The three major players - Nickelodeon, the Disney Channel, and Cartoon Network - had only limited offerings. Live-action youth sitcoms were beginning to dominate. Cartoon Network in particular attempted to roll out a programming block in 2009 titled "CN Real", dedicated only to live-action reality programming. Nickelodeon was trying to find something that would stick as well as Spongebob could, but programs like Fanboy and Chum Chum failed to garner strong views. Disney Channel meanwhile had been given over to programs like Jonas and Suite Life; Phineas and Ferb was one of the few noteworthy animated programs near the end of the decade. 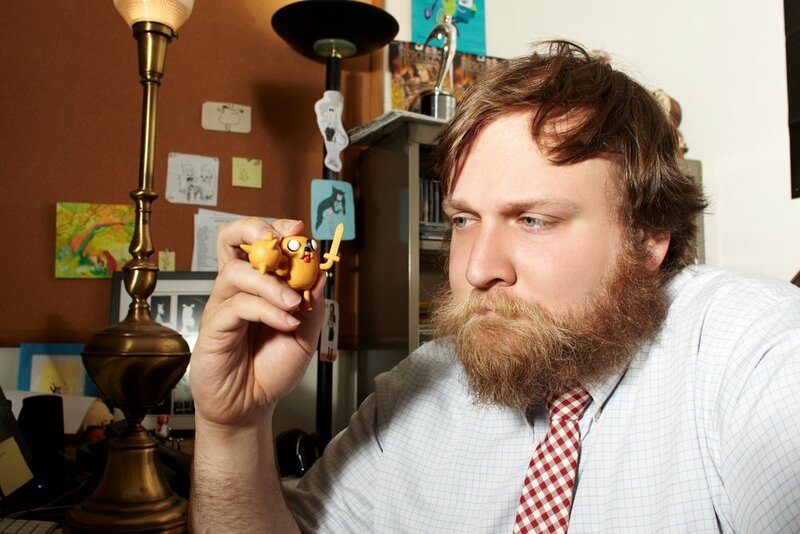 Enter into the scene Pendleton Ward, a graduate from the California Institute for the Arts. In 2006 he made a short titled Adventure Time. By November 2007 it garnered over a million views, having spread around the Internet. Ward took his idea to Nickelodeon and pitched it as a show, but found himself rejected. He then took it to Cartoon Network, where his pitch was accepted. The first episode aired April 5, 2010, to an audience of 2.5 million viewers. From there, the show has continued to receive popularity and praise. Adventure Time has received major nominations every year it has aired, and won several Emmy Awards and Annie Awards. So what is it about Adventure Time that makes it so special? One part of its appeal lies in the wacky off-the-wall world. The main stars are a human named Finn, voiced by Jeremy Shada, and his loyal shape-shifting dog Jake, voiced by John DiMaggio. They encounter characters like an Ice King, a vampire, a lumpy space princess (a blob whose name is literally Lumpy Space Princess), a bubblegum princess, a lemon, a living video game console... and the list goes on from there. It's an environment full of "fun and excitement" and "pure imagination." At the same time, Adventure Time manages to handle more complex and deeper themes. Characters are not just paper cutouts, but deeper people who we get to explore and discover more about. Critics have praised it for talking about things like mental illness and loss. There has even been an academic interest in the show: for example, Emma Jane published an article in the Journal of Children and Media in which she described the ways that Adventure Time handled gender roles. The balance of wackiness with headiness has helped keep the show entertaining and intriguing for its audience. It's a balance, in fact, that has redefined the industry. Adventure Time is often credited with sparking a new television animation renaissance. In fact, alumni from Adventure Time have gone on to make excellent shows of their own. Patrick McHale, a director on the series, went on to create Over the Garden Wall. Rebecca Sugar, a writer and storyboard artist, became the showrunner on the hit series Steven Universe. Ian Jones-Quartey (OK K.O.! Let's Be Heroes), Skyler Page (Clarence), Julia Pott (Summer Camp Island), the list goes on. Besides alumni though, other channels saw the success of Adventure Time, realized that cartoons were still a viable crowd-pleaser, and took a risk on series like Gravity Falls and The Loud House. Everyone wanted to recapture the magic of Adventure Time, and it has led to some truly great works. With the show's production officially stopped, and the last season airing, it's safe to say that all cast and crew should feel proud for taking part in something so important. Adventure Time has not only inspired fans, but breathed new life into an entire industry. Its impact will not be forgotten, and whatever the crew move on to next will surely be spectacular.